Have you noticed how huge things happen daily and nobody reacts and then the complete chaos is generated over something much, much smaller? People are definitely crazy and sometimes everyone loses their minds for completely absurd stuff! If you would like to express your astonishment for these illogical reactions and denounce them out loud, the Joker meme is what you are looking for. With his scary smile and his zany face, the evil character of Batman became the protagonist of the meme community thanks to a very popular scene of the movie The Dark Knight. In this scene, Joker talks to Two Face, another super-villan of the movie, explaining about the perverse mechanism that leads people to underestimate the importance of “normal events”, no matter their real weight, and to react disproportionally about unplanned minor events. 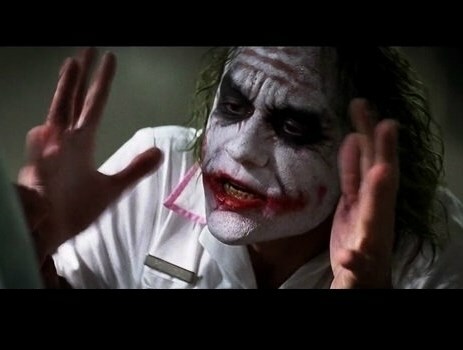 Create a Joker Meme and Everyone Loses Their Mind If you want to yell at the world how insane their reactions are, you do not need to open your mouth wide (especially not as wide as the Joker’s). All you need to do is create your own amazing Joker meme and you might open people’s eyes on one thing or two! You can make your own Joker meme on memegenerator.net and use it as you like. All you have to do is adding a caption and share it with your friends or on social networks. You can generate as many memes as you want since the service is totally free of charge. If your meme is funny enough, everyone will simply lose their mind!